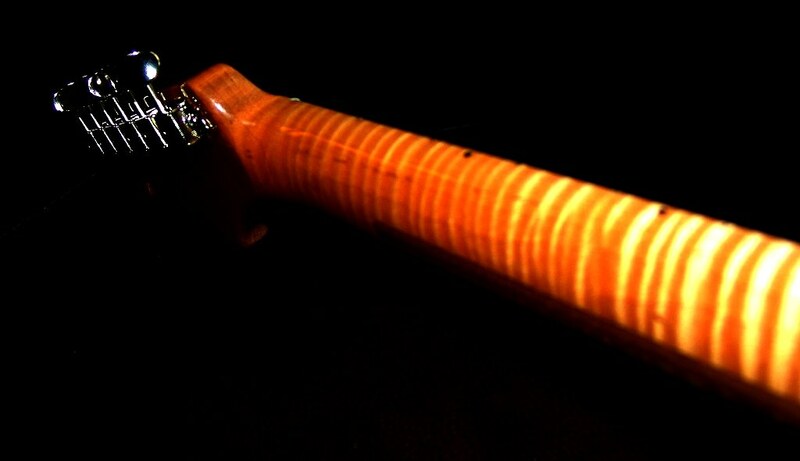 Discussion in 'Guitars in General' started by nl128, Feb 9, 2012. 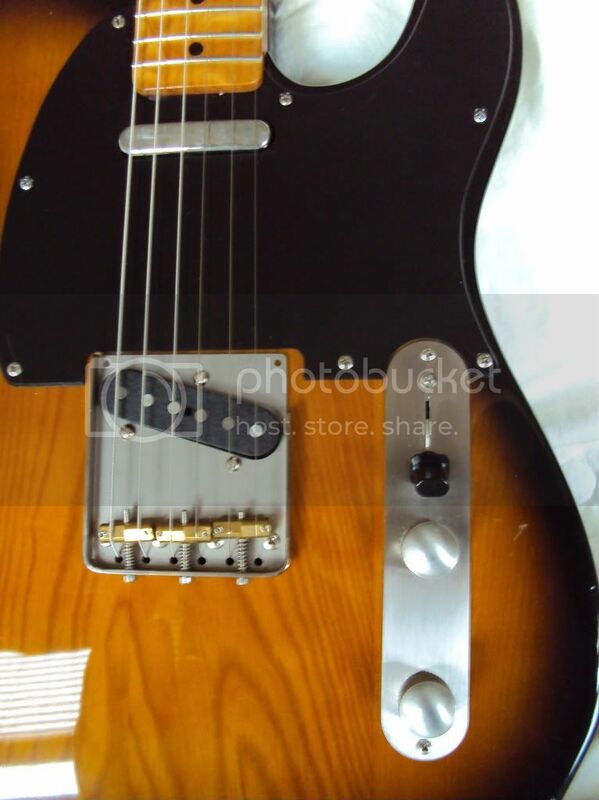 I had a tele sitting around for a while and never bonded with because it had vintage frets that had been leveled one to many times. So I started buying parts here and there and this is what i came up with. Perfect setup and plays and sounds like a dream. Let me know what you guys think. Wow! That is really beautiful!!!!! Wow, wow wow!!! Nice! 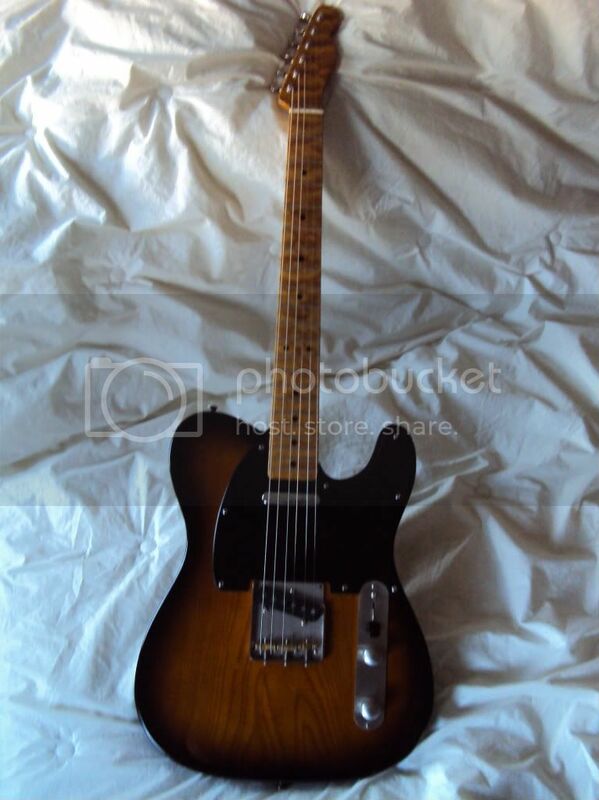 Nothing like a good Tele. HNTD!!!! I was really happy with how it came out, I thinks its got a different look about it. gorgeous figuring on that neck, wow! I thought my Canadian Breed had the nicest figuring in a neck I'd seen - that beats it! 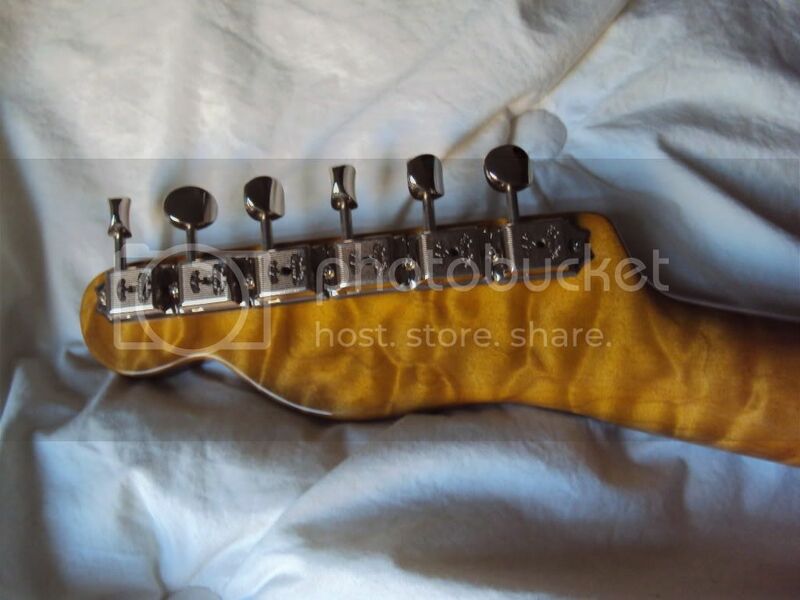 That's some crazy quilt on that neck! 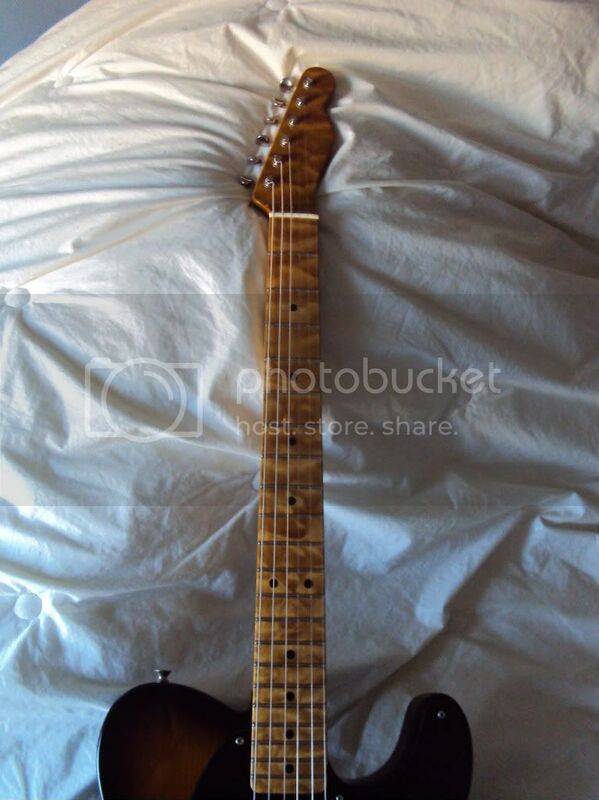 Great looking Tele. 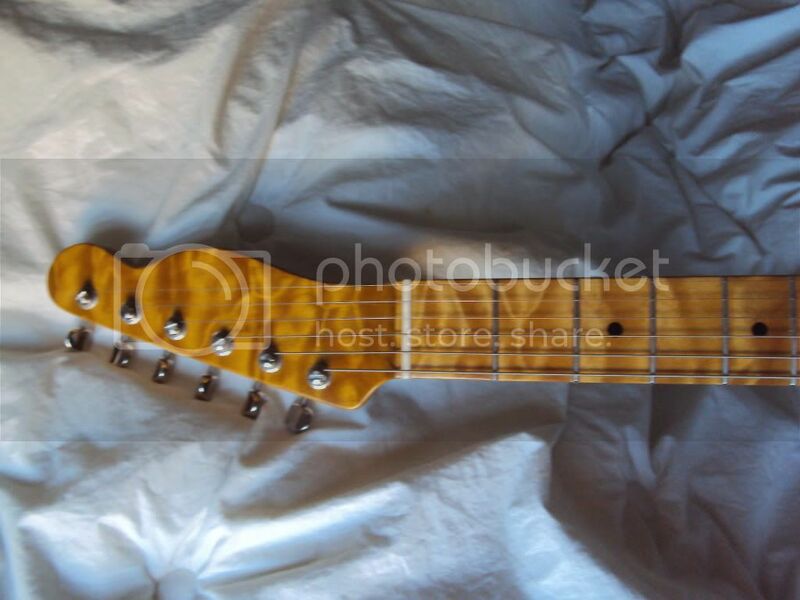 I love fat Musikraft necks too, here's mine. 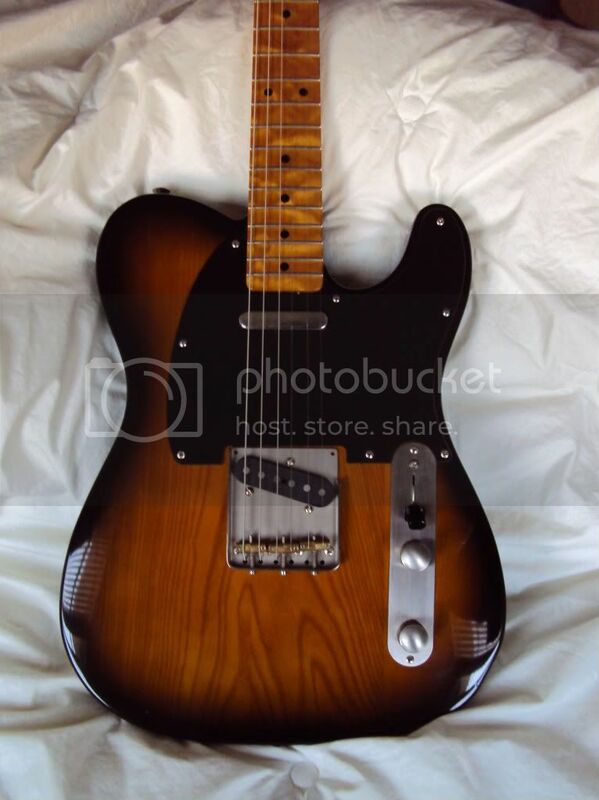 I have a nice plain MIM Tele neck that would be a lot more fun and I am willing to trade even for that quilty neck, all that figuring must blind you and impair your ability to play. 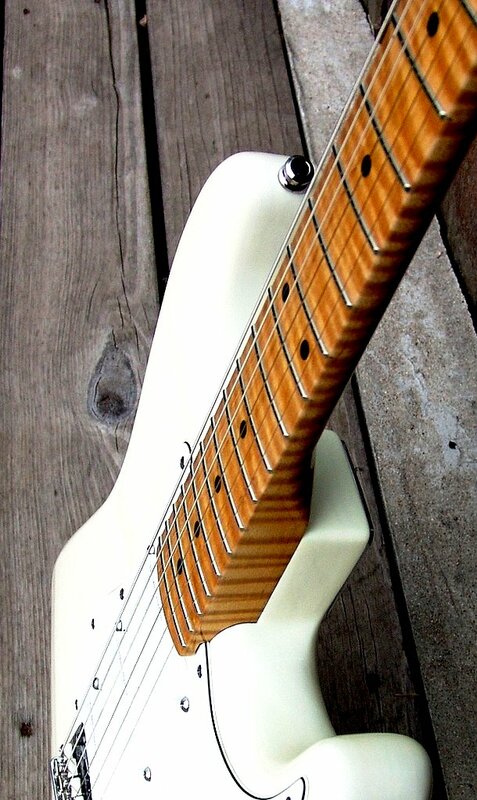 In all seriousness, that's a sharp guitar, very nice.